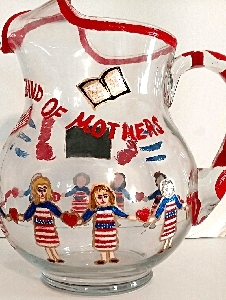 For Summer, Winter or Fall it doesn't matter Clearly Susan's hand painted pitchers are for pouring your favorite beverage no matter what delicious concoction you come up with. We offer lovely deisngs for any theme, occasion you want and would love to custom paint a design of your choice on our painted pitchers. 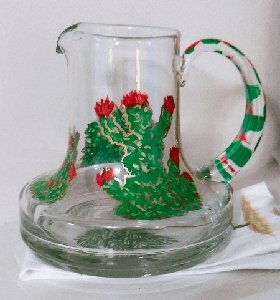 The shapes of our hand painted pitchers are unique from Margarita pitchers, to round milk pitchers you are sure to find a shape that you love.